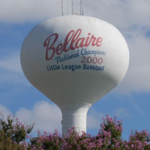 In an effort to combat the spread of diseases transferred by mosquitos, like West Nile Virus, the City of Bellaire has increased our treatment efforts. The city has increased the mosquito spray schedule to twice per week and will continue to utilize the larvicide tablets in the storm drains. These tablets are designed to kill the mosquito larvae before they mature. If you have any questions concerning the City’s mosquito treatment program, please contact the Parks, Recreation & Facilities Department at 713-662-8280.